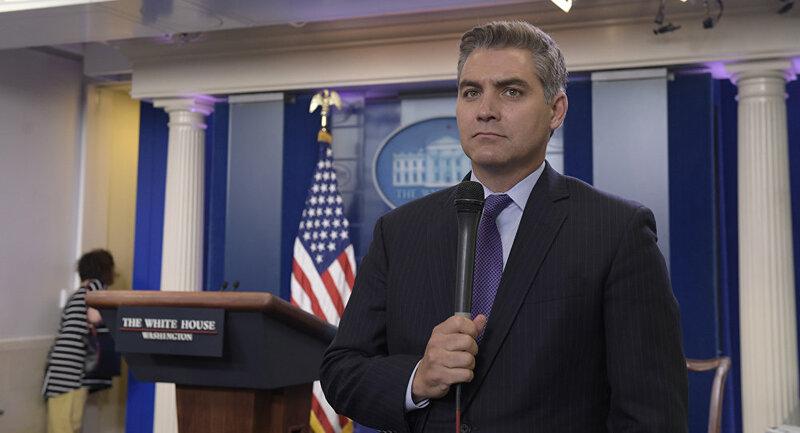 WASHINGTON (Sputnik) - The White House must restore the revoked credentials of CNN's correspondent Jim Acosta, the Committee to Project Journalists (CPJ) said in a statement on Thursday. "Journalists should be able to do their job without fear that a tough series of questions will provoke retaliation," said CPJ's Advocacy Director Courtney Radsch. "The White House should immediately reinstate Jim Acosta's press pass, and refrain from punishing reporters by revoking their access — that's not how a free press works." During Thursday's press conference, Acosta aggressively questioned Trump. 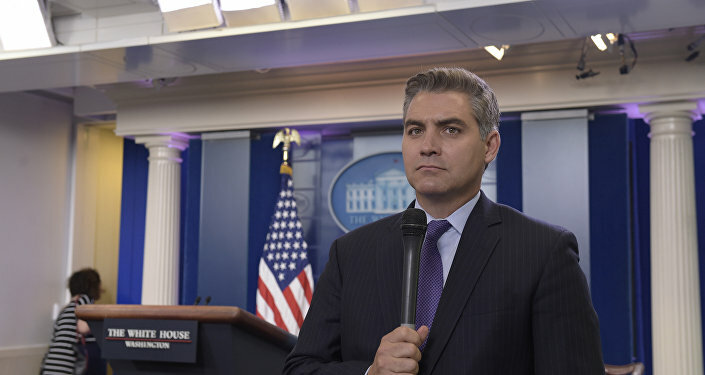 When the US president tried to move on to other reporters, Acosta continued to press for answers, prompting a heated argument. Eventually, a White House intern took the microphone away from Acosta. Trump called the journalist a "rude terrible person" and accused his network CNN of reporting "fake news." White House Press Secretary Sarah Sanders later said on Twitter that Acosta had been "placing hands" on the intern who removed the microphone from his hand. Sanders said she would revoke Acosta's White House pass. Sanders also tweeted a video of the purported incident. The decision to revoke Acosta's credentials drew a fierce backlash from the journalistic community. The White House Correspondents Association called on the White House to "immediately reverse this weak and misguided action." The organization also said that Sarah Sanders had "lied" about Acosta's actions.